Below is the first page of a new "graphic feature story" I've been working on for the St Louis Riverfront Times. The story is about HOPEVILLE, a "tent city" or "tent community" located near the flood walls along the Mississippi River. 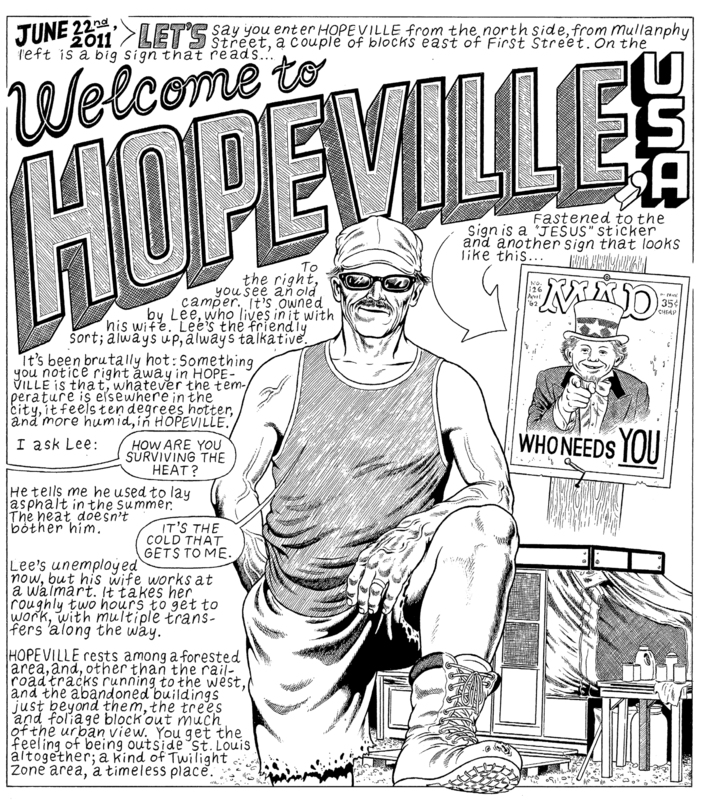 HOPEVILLE is a kind of modern-day Hooverville - one in a string of three tent communities set up by the homeless near the river. I've spent a good part of the summer working on this story, doing research and getting to know the people who live in HOPEVILLE. The story is scheduled to run late in September. 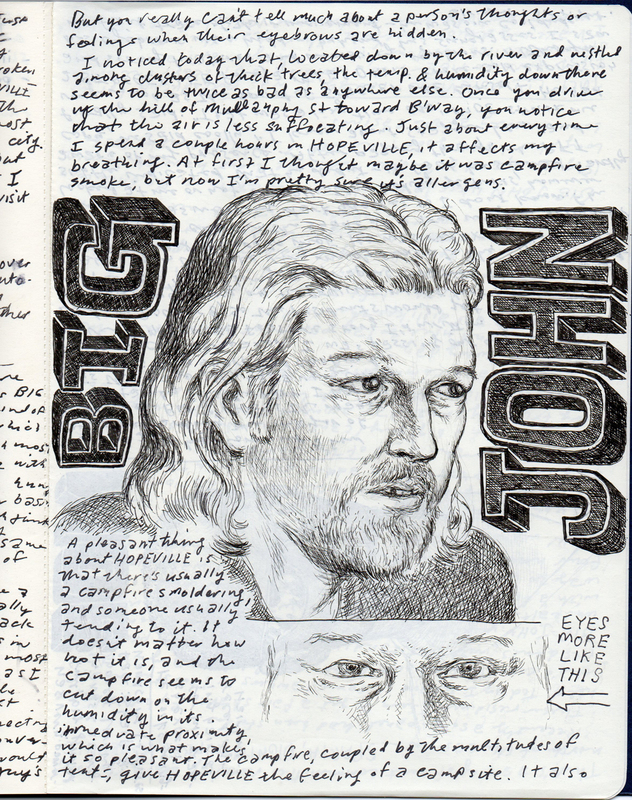 The story is meant to capture the feel of the sketchbook notes and drawings I made while I was spending time in HOPEVILLE. 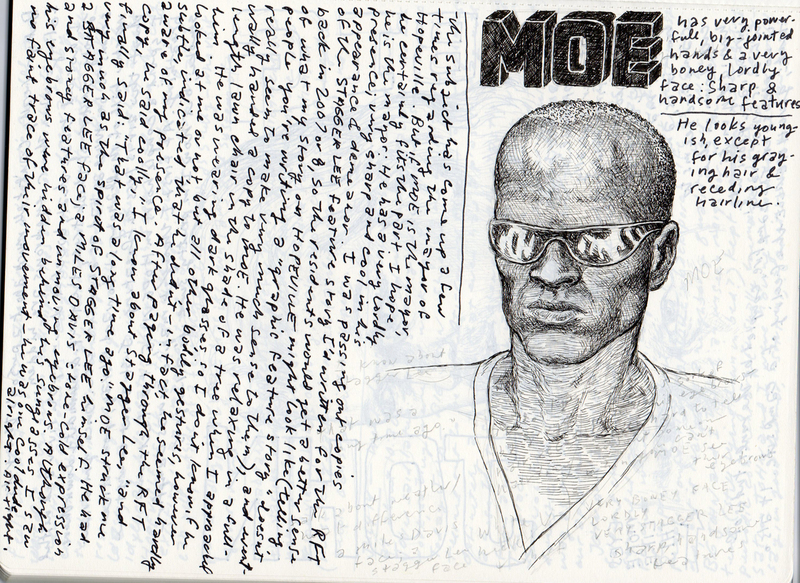 Below are samples of a couple of those sketchbook pages.